Power point Presentation – For use prior to worship, during liturgical dance, or at a post service reception/coffee hour gather a collection of pictorial materials from parishioners that feature mothers, daughters, sisters, aunts, and grandmothers from within your congregation and community. Also consider including visuals and photographs of historic women/mothers in the Black faith community and Black women leaders in government, education, medicine, business, politics, etc. These images can be useful tools for informing our children and youth about the contributions of women (particularly mothers) who paved the way for us in society. It’s even more important to point out through brief blurbs that should accompany the images their “strong faith” which enabled their accomplishments and contributions to society. In general, Mother’s Day observance is a time in the Black Church when many attend services, with or in memory of their mothers. It would be helpful to promote this special day weeks in advance to encourage members to invite their families to worship together with as many generations of mothers in their families as possible. If possible, also provide invitations for members to distribute – not just within their own families – but also to neighbors, co-workers and friends who do not typically attend church. 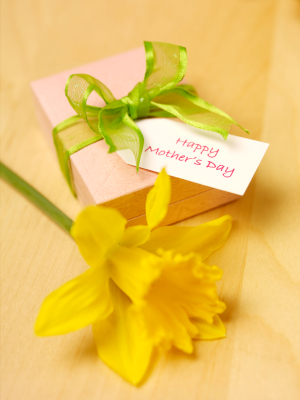 Mother’s Day can be a useful vehicle for outreach to the community. In addition to the invitations, send E-blasts and Facebook announcement cards or invitations to neighbors and throughout your community. This will make the neighbors feel welcome and part of a church in their community. Be sure to identify them during the service and encourage members to reach out (in a very personal way) to everyone who is visiting. During the service, ask all mothers who can to stand, and then specially acknowledge all grandmothers, great-grandmothers, and great-great-grandmothers. Leader: What shall I render unto the Lord for all his benefits toward me? I will take the cup of salvation, and call upon the name of the Lord. Congregation: Give us, O Lord, the wisdom from above, which is first pure, then peaceable, gentle, easy to be entreated, full of mercy and good fruits, without partiality, and without hypocrisy. Leader: Whence cometh wisdom? And where is the place of understanding? Congregation: Behold, the fear of the Lord, that is wisdom, and to depart from evil is understanding. Leader: Happy is the one who findeth wisdom, and the one that getteth understanding. Congregation: The merchandise of it is better than the merchandise of silver, and the gain thereof than fine gold. Leader: She is more precious than rubies. Congregation: All things thou canst desire are not to be compared to her. Leader: Length of Days is in her right hand: and in her left hand riches and honor. Congregation: Her ways are ways of pleasantness, and all her paths are peace. Leader: She is a tree of life to them that lay hold upon her; and happy is everyone that retaineth her. Congregation: And beside this, giving all diligence, add to your knowledge temperance. Leader: And to temperance, patience. Congregation: And to patience, godliness. Leader: And to godliness, motherly kindness. Congregation: And to motherly kindness, charity. Leader: Now may the Lord of peace give you peace at all times in all ways. All: The Lord be with you all. (b) The Church’s One Foundation. By S. J. Stone. Tune, (AURELIA). (c) My Faith Looks Up To Thee. By Ray Palmer. Tune, (OLIVET). (a) Be Strong! The Lord Will Be With You. By Roy L. Belfield, Jr.
(a) Come By Here. Arr. by Uzee Brown, Jr.
(c) What A Friend We Have In Jesus. Arr. by Valeria A. Foster. Tune, (CAANAN). (a) In Times Like These. By Ruth Caye Jones. Tune, (IN TIMES LIKE THESE). (b) Lord, Dismiss Us With Thy Blessing. By John Fawcett. Tune, (SICILIAN MARINERS). It would hospitable to hold a reception or coffee hour that enables everyone to fellowship. Prepare information about your church and its ministries for guests who may not have church families. This is a great time for visitors to see and experience a sense of family within your church. Equally important is the opportunity for families with children to see that there are opportunities for their children to participate in the life of the church. Also, provide examples of and information as to how your church works in and with its surrounding community. Often, visitors are individuals who live and or work near the church. Be sure to provide cards, brochures and programs with information about the church, its ministries and services it provides to the community. As well, be sure to obtain contact information from all visitors (including family members of current members of the church). Have your Christian Education department do a follow-up discussion (during the next week – or a subsequent Sunday) about the images of the women used in the power point presentation. Perhaps there are stories to be shared by members in the church about the photos they may have provided, or discussions to be had with young people on the roles of these women and all mothers. Teachers can also use the images to have youth engage in a creative writing contest about mothers. The Baptist Standard Hymnal with Responsive Readings. Nashville, TN: Sunday School Publishing Board, National Baptist Convention, USA, 1961. (b) The Church’s One Foundation. Text By Samuel John Stone. Tune, (AURELIA). (c) My Faith Looks up To Thee. Text By Ray Palmer. Tune, (OLIVET), by Lowell Mason. (b) Do You Love My Lord? Traditional African American Spiritual. Arr. Roy L. Belfield, Jr.
Birnamwood Publications (ASCAP). St. Louis, MO: MorningStar Music Publishers, Inc., 2009. Smallwood, Richard with Vision. Persuaded Live in D.C. New York, NY: Verity, 2002. Eddie Robinson Presents the Voices of Mount Olive: Singing Hallelujah All Day. Fort Lauderdale, FL: Ilerbea Publishing Company, 2001. (c) What a Friend We Have In Jesus. Arr. by Valeria A. Foster. Tune (CAANAN). The New National Baptist Hymnal. #530. The sevenfold amen is found on page 544.